Classic yet comfortable, pretty yet practical, the Clara Blouse is an everyday top that’ll fit seamlessly into your wardrobe. Tucked into your favourite pencil skirt for a smart work look, or paired with jeans for an off-duty vibe, Clara is an ever-versatile pattern, perfect for office to evening to weekend wear. The Clara Blouse features a pretty pleated round neckline, keyhole opening at the centre back, a stepped hem, and long sleeves with deep cuffs and continuous-bound placket cuff closures. Easy to wear tucked in or loose to suit your style, the Clara blouse has a relaxed cut with gentle curving at the side seams. With a dartless bodice, shaping at the bust is provided by the neckline pleats for a gentle, figure-skimming feel. With a mixture of simple fit and interesting construction details, this pattern makes a fun challenge for anyone looking to build their skills – especially if your next step is shirt-making; the Clara cuffs are true shirt cuffs and make great practice! See what other people have been making in the Clara Blouse Gallery. The Clara Blouse is an advanced beginner to intermediate level sewing pattern, ideal for those who have sewn a few garments before. We recommend you have experience of sewing bias binding. 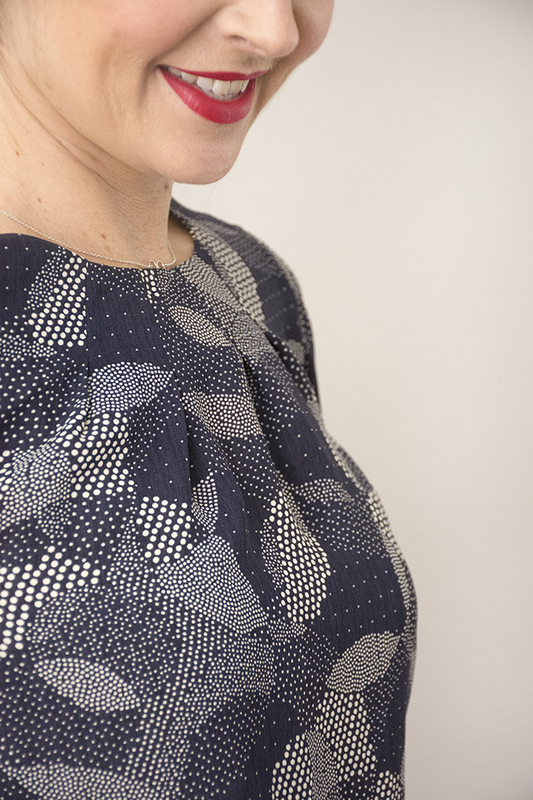 For the Clara Blouse we recommend using lightweight woven fabrics with drape, such as rayon challis, peachskin, light to medium weight crepes and georgette. If you’re a beginner, or you’d prefer a more structured look, you could also try cotton lawn. To find the perfect fabric, have a look at our specially curated suggestions. Lisa’s versions are made in cotton lawn (teal floral version and tree print), and crepe georgette (geometric dots). 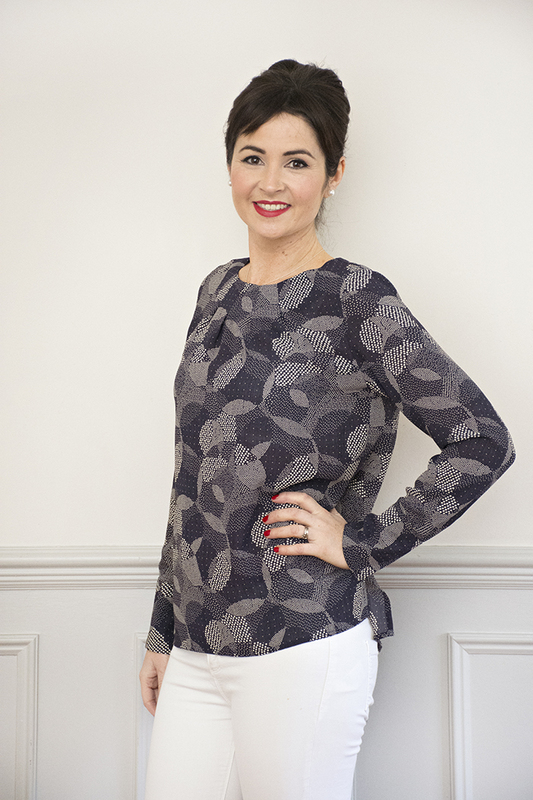 The Clara Blouse sewing pattern is sized between UK sizes 8-20. See the chart for details on fabric requirements. The tiled print-at-home Clara Blouse PDF sewing pattern is 26 pages long.